But be not ye called Rabbi. Grazie, todah, thank you. 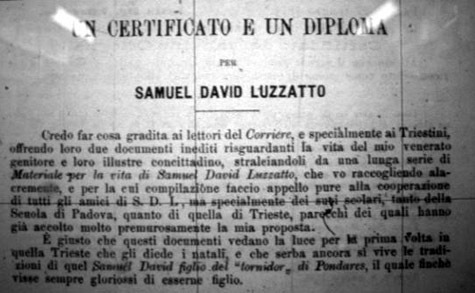 What's fascinating about these documents is that they were slumbering for all these years in microfilm, but now that you have dug them out and made it possible to have them translated and publicized, Shadal scholarship will never be the same. No biographical account of Shadal that I have ever seen, not even Margolies' full-length book, has ever mentioned these documents. To be fair, it seems that Shadal himself never did anything to bring public attention to the fact that he had semicha from the senior Rabbi Reggio. To use a cute oxymoronic phrase from the Broadway musical "Once Upon a Mattress," Shadal's rabbinic diploma seems to have been a "secret proclamation." 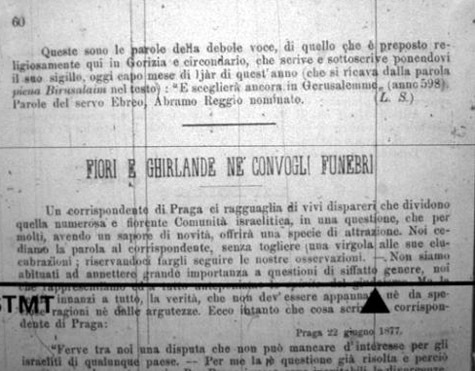 If you'll excuse just one minor quibble, Rabbi Cologna's position during the French phase of his career was not Chief Rabbi of Paris, but "grand rabbin de France." But once again, thanks for this post, amico mio. And of course you have my permission to use these translations in your essays. BTW, who did that previous "long lost" partial translation? Awesome post. Thanks. 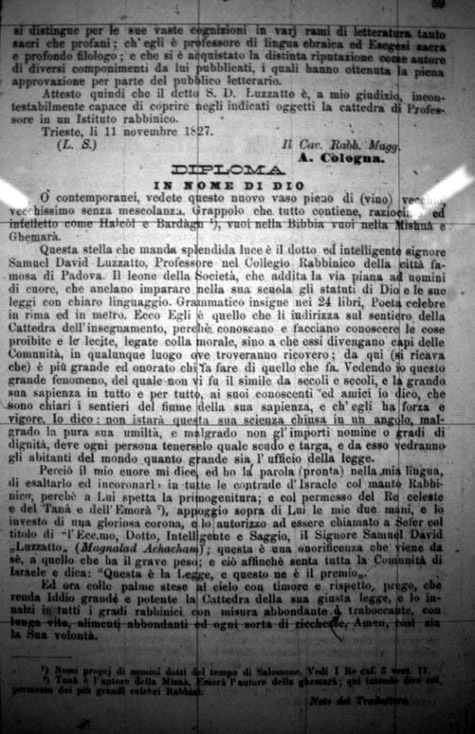 Do you have biographical info on this Rabbi Cologna? "Sua Magnalad Ecc.ma" - lovely. What would that be in German, "Euer Kowedwürden"? If you squint really hard it may be possible to see the ghost of my reflection on the microfilm window. Look closely! Zohar, this is a start http://www.jewishencyclopedia.com/articles/413-abraham-vita-de-cologna. Don't take the reform thing seriously in the article - he was not a reformer, except insofar as he was part of the Napoleonic Sanhedrin and the resulting Parisian Consistory, which the Reform movement would eventually consider an atecedent (to the point where in some Reform responsa you can actually see resolutions of the Sanhedrin invoked as an authority). 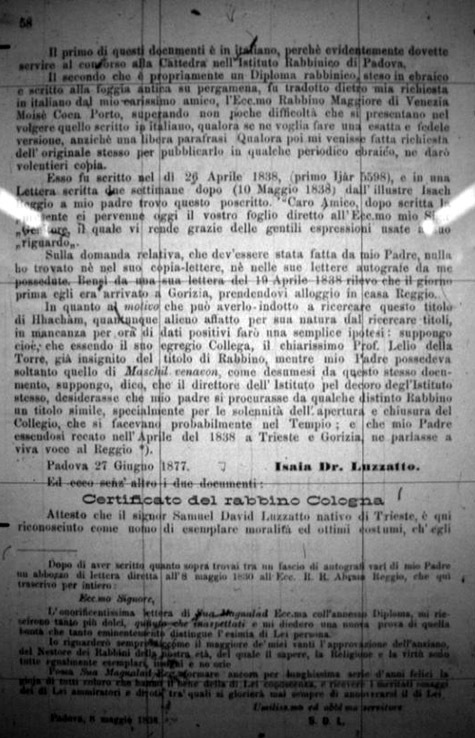 Cologna was and remained a traditional Italian rabbi. Posted about him once over here. I don't see any declarayion that he was authorised to decide questi0ons of law. What was the "Jewish hat" as late as 1824?